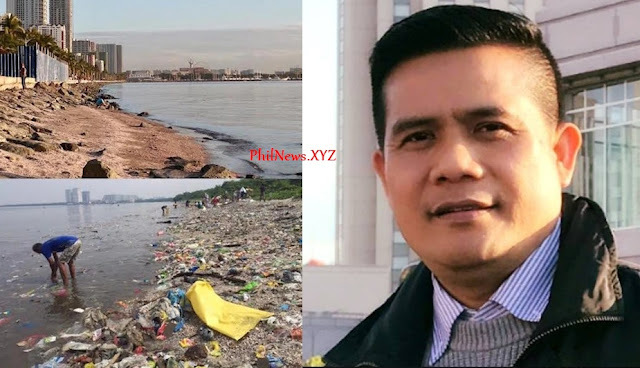 A concerned netizen is now making the rounds on social media as he slammed the critics of the Manila Bay Clean-up and exposing the narratives of the Dilawans that the clean-up will lead to the alleged reclamation project in Manila Bay. The concerned netizen was identified as Boy Alberio who stated that there are camps saying that the real reason for the cleanup of Manila Bay is a supposed reclamation project. This is an obviously absurd conjecture made up by people whose sole intent is to downplay and vilify government’s effort to bring back the used-to-be pristine condition of Manila Bay and preserve its intrinsic historical value. According to Alberio, if we were to follow the flawed logic of the critics that a cleanup would constitute eventual reclamation on the area, then we should already be seeing reclamation effort being done in Boracay after it was closed and cleaned up. There are camps saying that the real reason for the cleanup of Manila Bay is a supposed reclamation project. An obviously absurd conjecture made up by people whose sole intent is to downplay and vilify government’s effort to bring back the used to be pristine condition of Manila Bay and preserve its intrinsic historical value. Nonetheless, if we were to follow their flawed logic that a cleanup would constitute eventual reclamation on the area, then we should already be seeing reclamation effort being done in Boracay after it was closed and cleaned-up! But none of that sort took place. Not even the rumored Casino they used to spread-like-wildfire as the hidden reason for the rehabilitation. To their dismay however, we now can see a squeaky-clean Boracay that is safe with hotel and establishment operators responsible, disciplined and law-abiding. Obviously same personalities bellowing against the ongoing cleanup of Manila Bay thinking that Filipino people would be that naïve to believe in their fallacy-charged narrative. They never learned their lesson! If indeed there’s such a thing as a plan to reclaim certain portions of the bay, do you think there’s a need to clean it up, order closures of the surrounding establishments that cause the pollution, and do massive cleanup of the esteros that add up to the loads of garbage and contamination of the water? Logic and common sense dictate – they’re unnecessary! More than half of the expanse of what we see of Manila Bay is reclaimed. Our favorite destination Mall of Asia (MOA) sits on reclaimed land, and so are PICC, Cultural Center, Sofitel, etc. Cleanup was not done when portions of the bay were reclaimed then. Therefore people opposing it should rethink their stance and the issues they’re throwing if they want to still make themselves relevant. They cannot continue being illogical and regressive just to attack Duterte and his government. Logic and altruism still outweigh their being counter-intuitive and penchant for self-aggrandizement. Worse, if the attacks are signs of their being in the state of ignominy wanting to recover. Quite pathetic!